DSX Products and Racing Applications | DSX Equipment Technology, LLC. 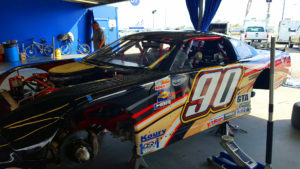 DSX products have been used in racing for at least twenty years. DSX products are based on embedded particle technology. Basically, DSX products modify friction. The friction modification is best evidenced by the reduction in heat. 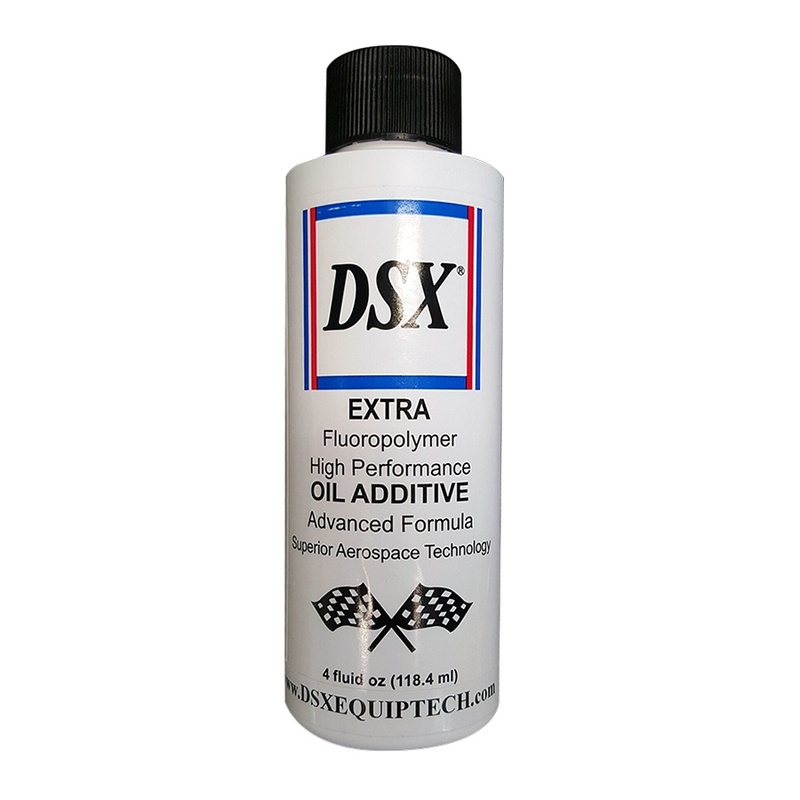 The DSX products used include DSX Extra, engine additive, DSX Assembler/Grease (an additive used in engine assembly, wheel bearings, differentials, and transmissions) and DSX Defender II a protective wax/sealer. The most recent use has been in SCCA and Trans Am. Almost two years ago our DSX Defender II protective wax and DSX Assembler/Grease were introduced to a racing mechanic/car builder headquartered in Daytona. Most of his work in the last few years has been in GT2 Sprint cars in SCCA and Trans Am 2. With DSX Defender, II he was surprised at how easy it is to maintain a clean vehicle. He started using DSX Assembler/Grease in wheel bearings. He immediately noticed how much easier it is to move the car around the shop. He started using DSX Assembler/Grease in the transmission and differential late in 2016. At that time, he maintained two cars. Results. 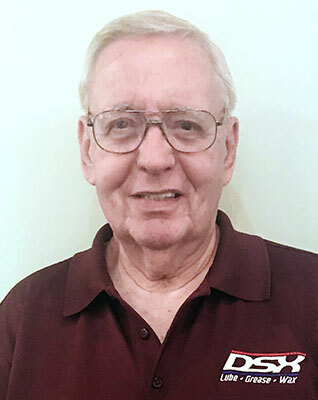 In early December 2016, he called to explain that he had documentation (engine dyno and chassis dyno) of lowering parasitic loss to 8% on a GT2 Sprint Car. Before the DSX Application, the parasitic loss was 15% to 16%. 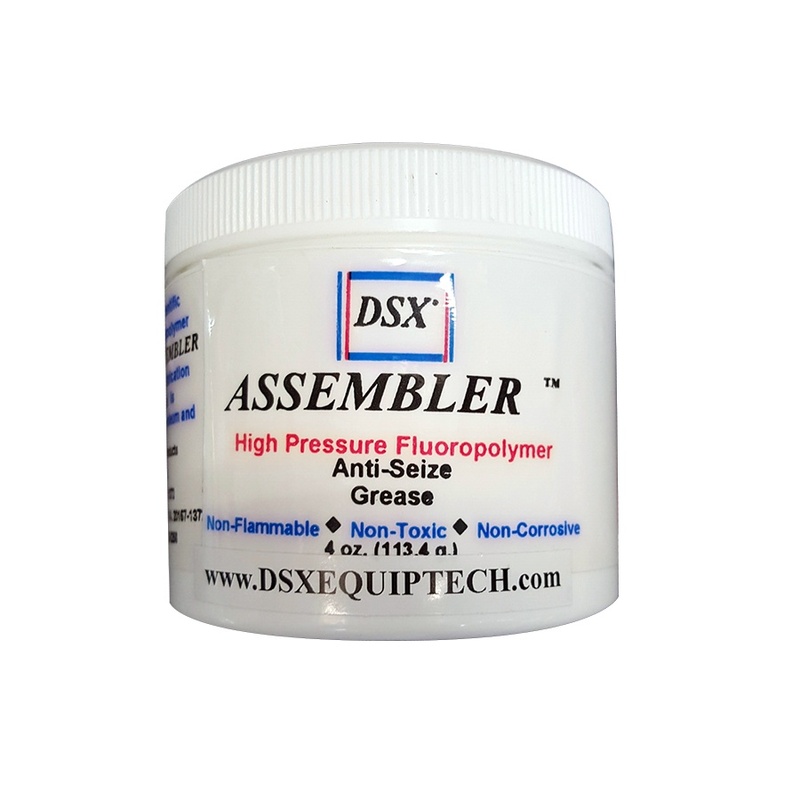 Our DSX Grease Assembler is used in the wheel bearings, the transmission and the differential. The GT2 Sprint car has a 500 horsepower horsepower race engine. This racing mechanic/car builder now has five cars competing regularly in SCCA and Trans-AM. The results have been outstanding. He is also building a new car for Trans-AM 2. A Trans-AM 1 car started using DSX Grease/ Assembler approximately two years ago. With Trans-Am racing, the gears are changed from race to race. After the first race with DSX Assembler/Grease in the gears, the person providing the gears asked the car owner what lubrication he was using. After suitable car owner/car driver discussion, the question asked of the supplier was, “Why do you ask”? The answer was, “The gears are better after the race, than they were before the race”. DSX Defender II, our protective wax/sealer has found success in Formula 1, Formula E, Endurance Racing (24 Hours of LeMans, etc. ), lndyCars, SCCA and Trans AM. In all cases, we have reports that the track rubbish does not stick so aerodynamics remain better throughout a race. After a 24 Hours of LeMans race, the car owner/team manager sent an e-mail. The e-mail stated, “The longer we were in the race, the faster we were. Oops! The car is only as fast as it is. I should have said, the longer we were in the race, the slower the competition was.” He also commented on how clean the car was and how easy it was to clean after the race, specifically mentioning the undercarriage. Since 2011, our products have been used in Formula 1, Formula E, Endurance Racing (24 Hours of LeMans and 24 Hours of Daytona), World Endurance Cup, Trans-Am 1 and 2, SCCA Sprint 2 and a short track racer located near Daytona. 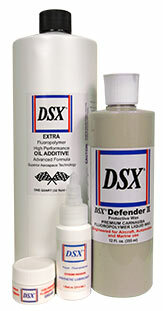 Our most popular product is DSX Defender 11, a protective wax. This product was used in Formula 1 for four years. This product has been used in Formula E for several years. DSX Defender II is presently being used in World Endurance Championship, Trans-Am 1, Trans-Am 2, SCCA Sprint 2 and at shorttracks. The reason our customers buy this product is that less track rubbish sticks. The reason we were given by the Formula 1 team that used this product was after testing in Spain, someone noticed that one car was cleaner than the other. The evaluation proved that less track rubbish stuck to the car that used the DSX Defender II. We have an aerodynamic report about DSX Defender II on a Dallara body at a wind tunnel in Italy. The reports indicates an increase of .5 MPH at the Indy 500. Our DSX Assembler/Grease has been used by several teams in Trans-Am, one team in SCCA Sprint 2 and the short track racer. In all cases, the DSX Assembler/Grease has been mixed with the preferred lubricant for wheel bearings, transmissions and differentials. The parasitic loss for the Trans-Am 2 cars and SCCA Sprint 2 car was reduced from sixteen percent to eight percent. With 500 HP engines, this reduction in parasitic loss provides approximately horsepower at the drive wheels. The cars have performed well for the owner and/or driver. 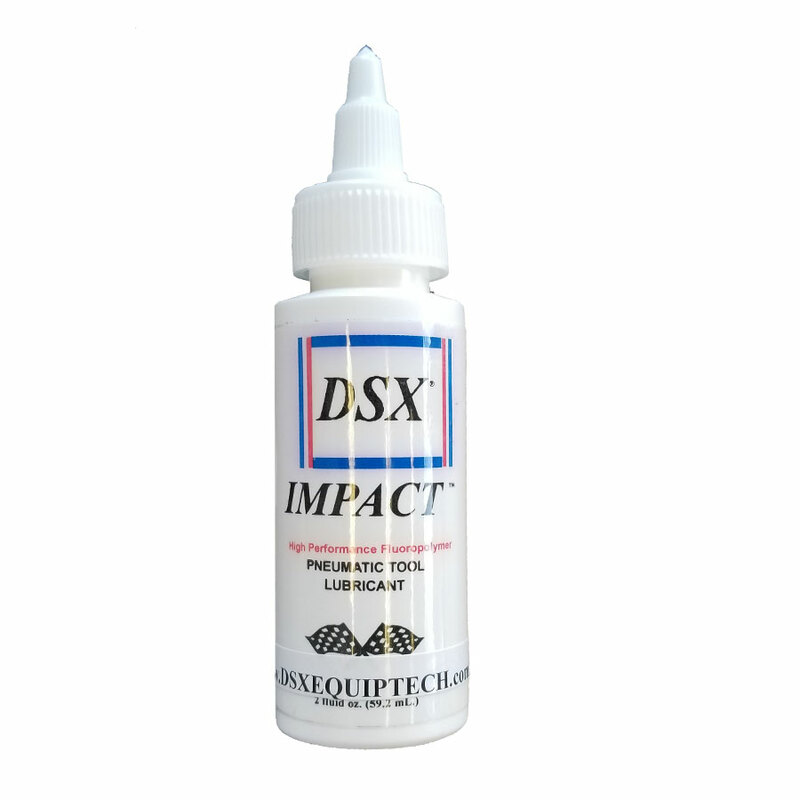 DSX Extra – Engine additive. DSX Extra has been used in race engines in two cases we know about. In one case, the engine builder provides his customers with “race oil” for use with his engines. DSX Extra is one of the elements of his race oil. He has reported that when the engines are returned for maintenance, the largest wear factor he has found measures .005 inch. DSX Impact is used on pneumatic tools. We have several race shops that apply it to their air tools first thing each morning. After watching tire changes at the 24 Hours of Daytona, it is our opinion that every race team needs this product if only for the air guns used when changing tires. Note to above. 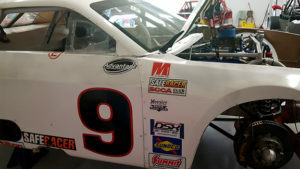 The short track racer mentioned uses DSX Assembler/Grease in the wheel bearings, transmission and differential and DSX Extra in the engine oil. He reports lap time have been reduced by ten percent.